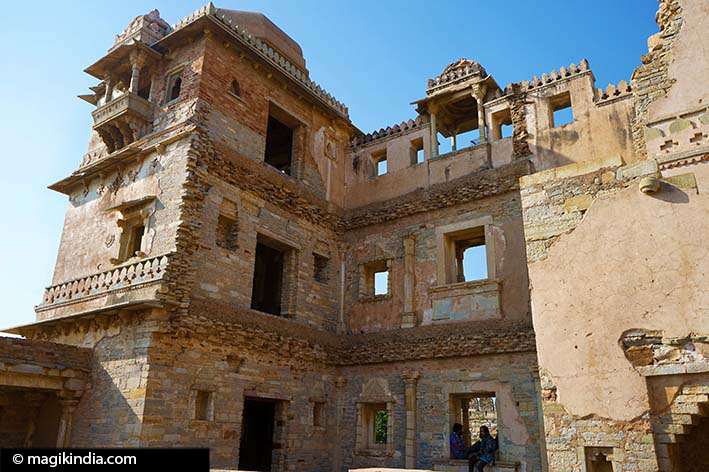 The story of Chittorgarh (or Chittor) fort is steeped in heroism and the pride of the Rajputs. It stands as a symbol of courage and sacrifice. 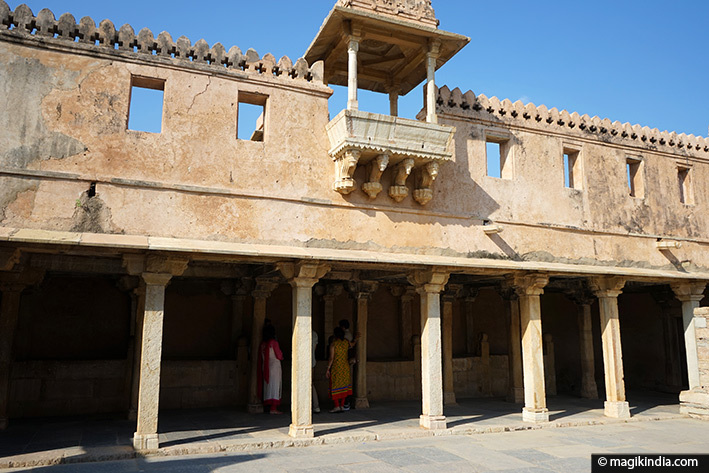 This “city of strength and devotion” as it is sometimes called fits that description well : Chittor has known many battles but the echo of the poetess Meerabai’s songs of divine love can still be heard. 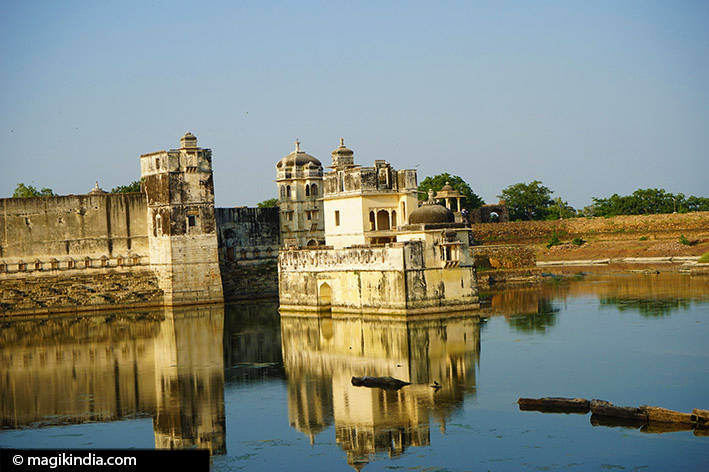 This 3ha fortified city, rising to 180m, was constructed by the Mauryans in the 7th century AD and was then the possession of a Rajput clan, the Guhilas. Three major battles took place here, and each time the inhabitants chose to sacrifice themselves rather than fall into the hands of the enemy. The women and children threw themselves into sacrificial fires (jauhar) while the men faced the enemy clad only in simple saffron robes. After the last battle, in 1568 against the Mughal emperor Akbar, the capital was moved to Udaipur and Chittorgarh lost its political importance. 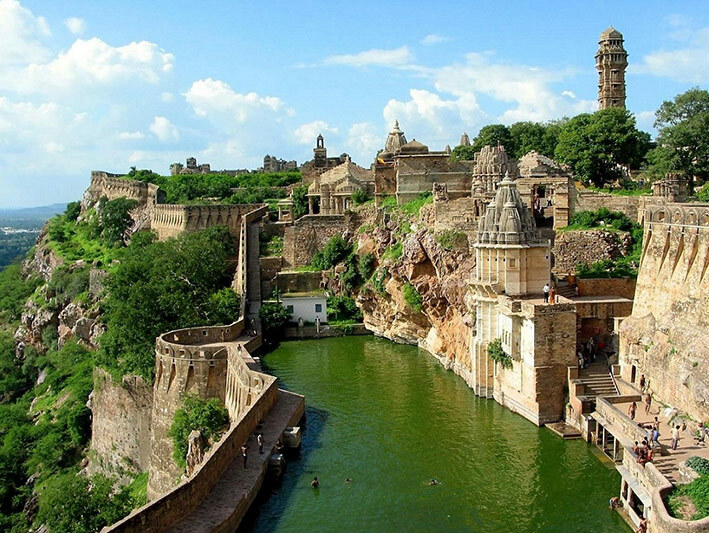 In a more romantic vein, Chittor is also associated with the Hindu poetess Meerabai, famous for her songs and poems of devotion to Lord Krishna. 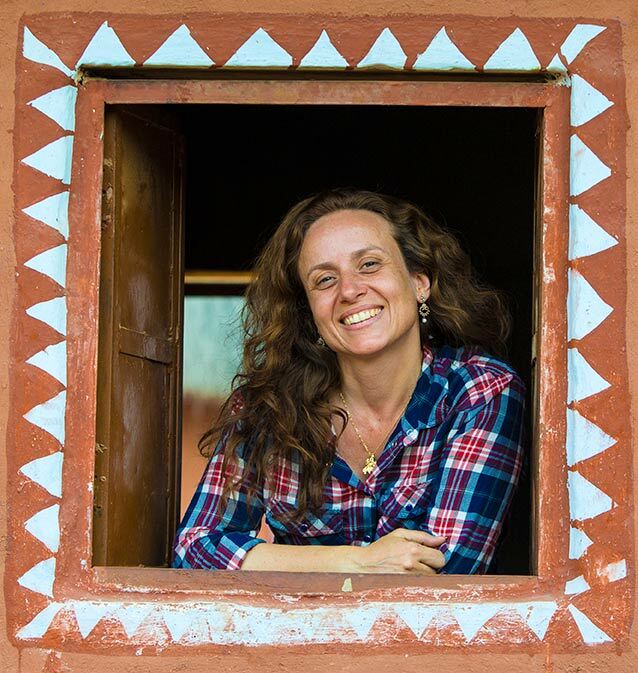 There is a temple dedicated to her. The palace of the fort, now in ruins, is of some historical importance. This is the birthplace of Maharana Udai Singh, the founder of Udaipur. His life was saved by the heroic act of the maid Panna Dhay, who replaced her son in place of the prince, with the result that her son was killed by Banbir, a distant cousin of Udai Singh. It is also here that Maharani Padmini and her followers threw themselves into sacrificial fires not to fall into the hands of the Sultan of Delhi (see below). It is said that the poetess Meerabai lived here too. 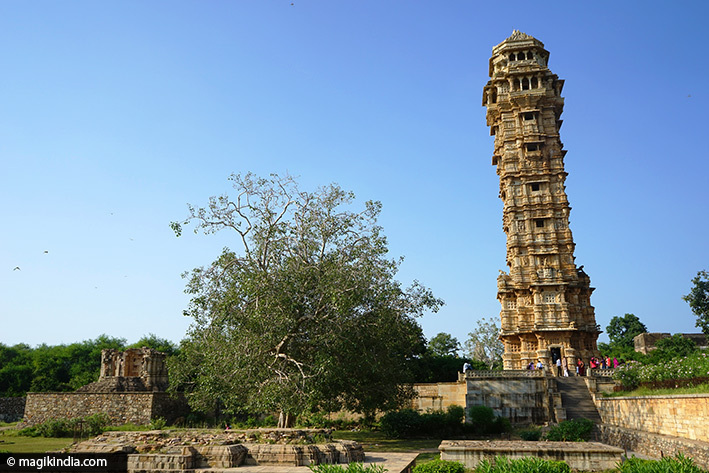 The Vijay Stambha is a nine-storey tower built by Maharana Kumbha to commemorate his victory over the Muslim rulers of Malwa and Gujarat in 1440. The tower, sculpted all round, is 37m tall and stands on a 3m base. Braver visitors can climb to the top. 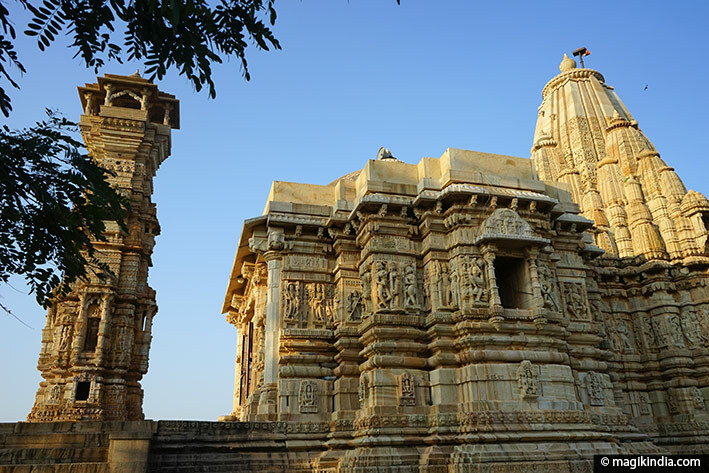 Next to the Vijay Stambh is the Samadhisvara temple, dedicated to Lord Shiva. It was built by Bhoja Paramara in the 11th century. 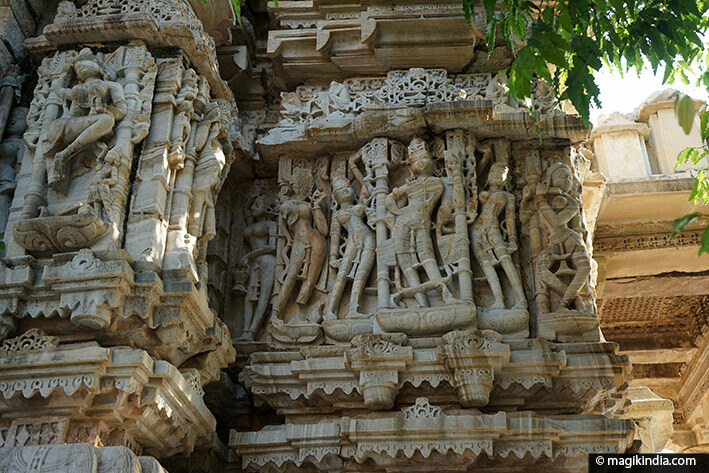 There are some fine carvings on the outside but the most astonishing element is the altar with its huge idol of the Trimurti (Shiva, Vishnu et Brahma). South of the temple a stairway leads to Gaumukh Kund, a sacred reservoir. Rani Padmini Palace is a pretty pavilion in the middle of a lake looks rather like one of the Loire chateaux in France. 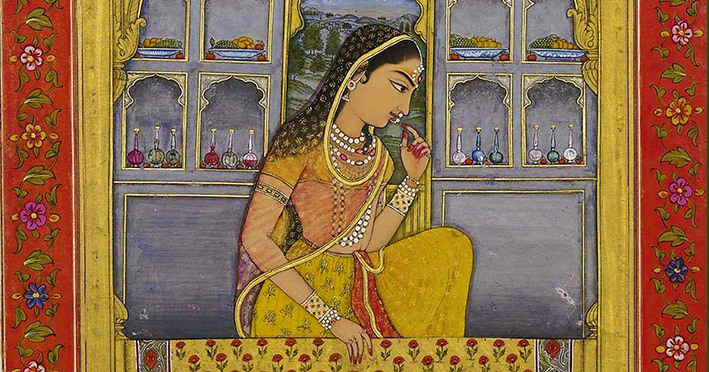 It is here that Allah-ud-din Khilji, the Sultan of Delhi, was mesmerised by the beauty of the queen of Chittor Padmini through a mirror and wanted to secure Padmini for himself. It was one of the reason of the destruction of Chittor. He kidnapped the king of Chittor and took him as a prisoner into his camp and demanded that Padmini come and surrender herself before Allah-ud-din Khilji, if she wanted her husband King Ratansen alive again but Padmini didn’t surrender. The Sultan was furious and ordered his army to storm Chittorgarh But hard as they tried the Sultans army could not break into the fort. Then Ala-ud-din decided to lay seige to the fort. The seige was a long drawn one and gradually supplied within the fort were depleted. Finally King Ratnasen gave orders that the Rajputs would open the gates and fight to finish with the besieging troops. On hearing of this decision, Padmini decided that with their men-folk going into the unequal struggle with the Sultan’s army in which they were sure to perish, the women of Chittorgarh had either to commit suicides or face dishonour at the hands of the victorious enemy. 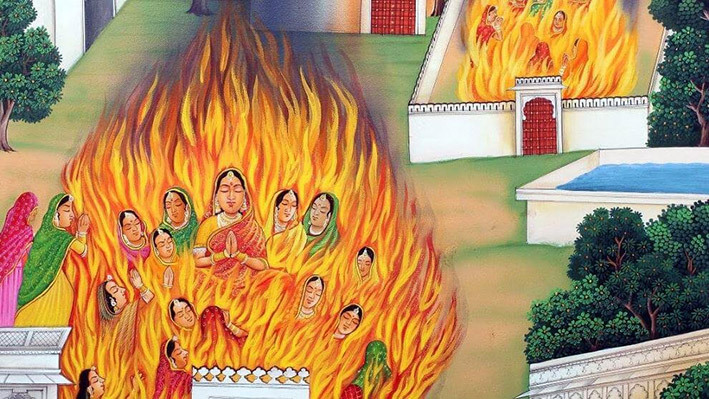 Padmini made the choice of suicide through Jauhar (sacrificial fires). 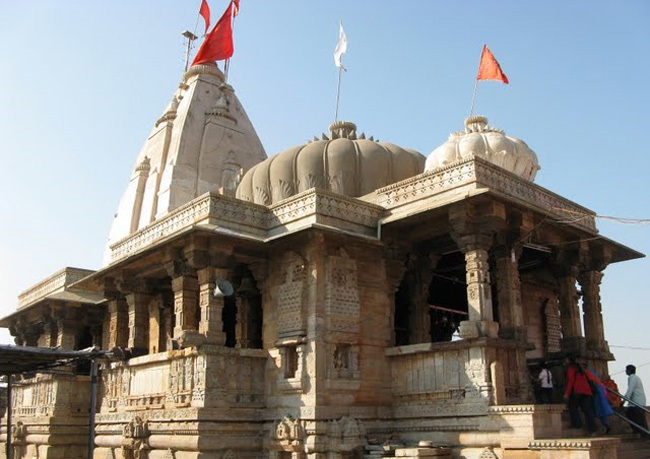 Kumbha Shyam Temple was built by Rana Kumbha in 1448 AD. 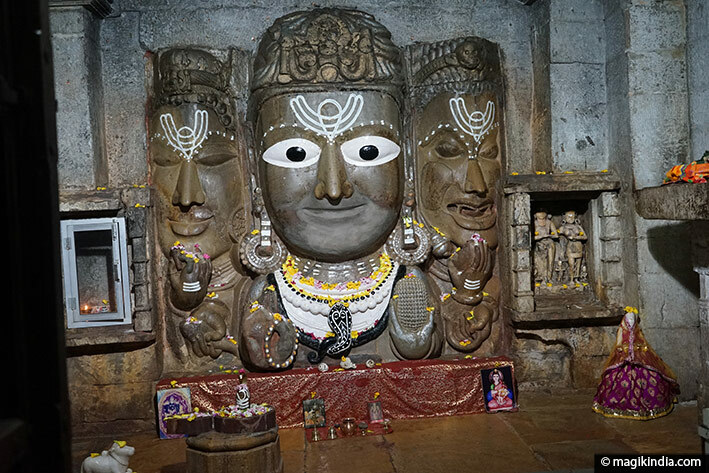 The temple is dedicated to Varaha, an incarnation of Lord Vishnu. Next door is a temple dedicated to Meerabai, poetess and saint. This temple is the place where Meerabai used to worship Lord Krishna, and Bhakti movement originated at this place. Born a princess, Mirabai renounced the worldly life to devote herself to the worship of Lord Krishna. She composed renowned songs of devotion to him. 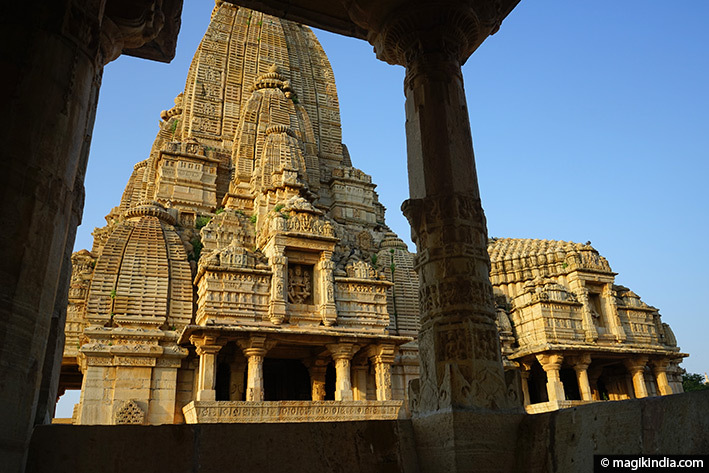 The temple was also constructed during the rule of Maharana Kumbha, the Rajput king. 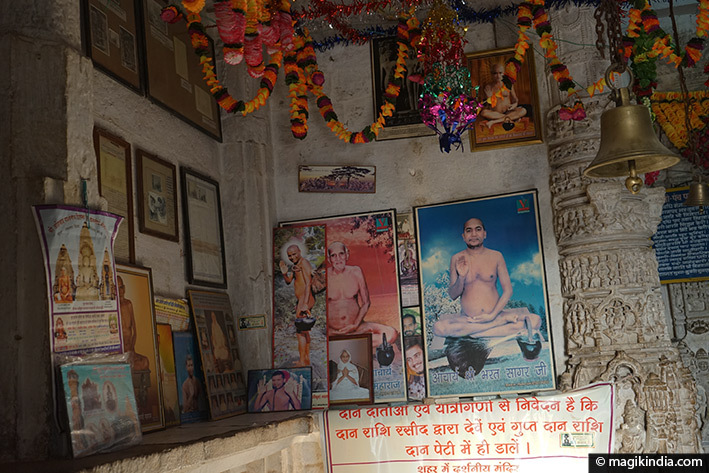 Kiri Stambh temple is dedicated to Adinath, the first Tirthankar saint of the Jain faith. Inside there are photos and paintings of digambars. The digambars are adepts of a Jain movement who go naked, never covering their bodies. 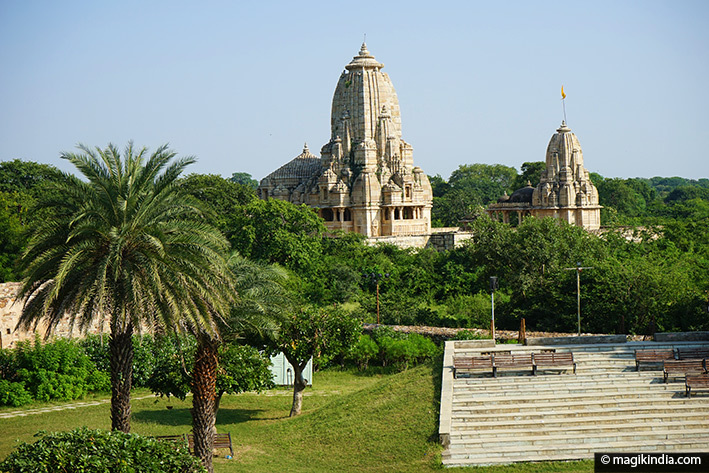 Beside the temple is the Kirti Stambh, a 22m, seven-storey tower built by a rich Jain merchant in the 12th century. Each of its four corners is adorned with the figure of Shri Adinath, sculpted in the Digambar style. 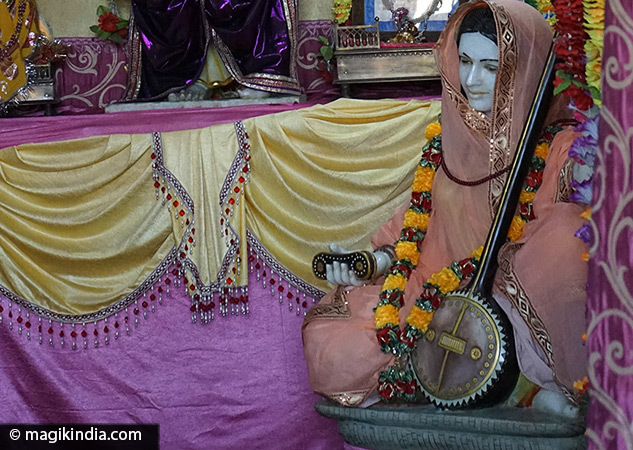 Kalika Mata is a shrine to the goddess Kali. It was built in the 8th century and was originally dedicated to the Sun God.